Russia’s airlines continued to enjoy double-digit traffic growth in October, which improved by 12.6 per cent over the same month of last year, and was up from 11.2 per cent in September after the relatively slow summer months during which the growth rate was 6.8 per cent (July) and 8.2 per cent (August). Nevertheless, the year high of 14.2 per cent, which was reached in January, remains unbeaten. According to Russian aviation authority Rosaviatsiya’s preliminary report, last month Russian airlines collectively served some 10 million passengers, enjoying a seat load factor of 82 per cent, which is equal to the same month of last year. In the top-five list of Russian airlines, privately owned S7 Airlines achieved the highest growth rate since the beginning of the year. Its previous peak of 21.7 per cent was registered in April, a figure that was beaten by October’s 23.4 per cent. Russia’s third largest airline served one million passengers in the period. National carrier and market leader Aeroflot carried 3.1 million passengers (up eight per cent), Ural Airlines, which ranks fourth, transported 804,800 passengers (up 9.2 per cent), whilst fifth-placed Utair carried 620,300 (up 0.4 per cent). Surprisingly, Aeroflot subsidiary Rossiya is not included in the top-five list, although in previous months it successfully competed with S7 Airlines for the title of Russia’s second largest passenger carrier. In the period from January to October of this year, Russia’s airlines carried 99.2 million passengers, up 10.4 per cent year-on-year. The seat load factor increased 0.7 percentage points to 84.5 per cent. Industry experts forecast the industry’s growth rate to average 10 per cent this year, as the market slows down from the 18.6 per cent growth performance of 2017. At the same time, Russia’s airlines’ aims to expand their capacities by 12 per cent in the period will almost double the rate of the global average. “People are ready to fly more, but are not willing to pay more. 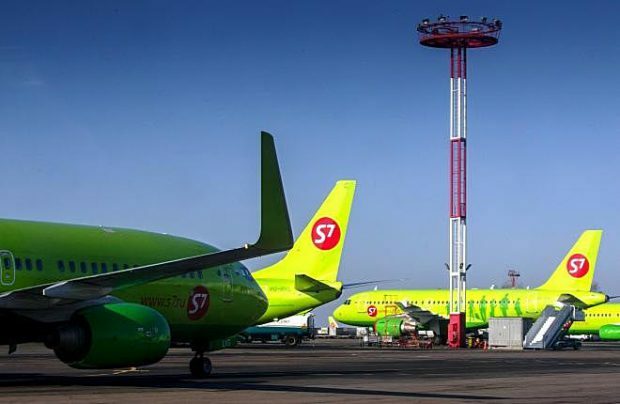 So the main driver behind the traffic growth is the reduction of air fares as capacities bloat,” admits Dmitry Kudelkin, S7 Airlines Group’s deputy director.